Jul 25, 2017 Holborn takes the welfare of its 15,000 clients across our 8 global offices very seriously. Having been in operation for 20 years we have learned that in order to succeed in today’s global marketplace companies must put their customers at the heart of everything they do, being a family owned and run business with a strong tradition of British quality has created a culture of care and compassion from end to end and in all aspects of the business. Indeed this has driven our recent initiative to build a customer focused, client servicing center in the heart of Colombo, housing a 120 strong team of dedicated personnel that operates 24/7 to provide our clients round the clock service wherever they may be. One of our team will be in touch to ensure all and any issues are fully resolved to your complete satisfaction. Through mis-management and additional, unauthorised fees taken via a bad practice known as 'Churning'. This is where funds are moved from one portfolio to another, purely to earn additional commission for the company. This company has reduced the value of my hard earned pension portfolio by around 40k sterling. To make matters worse they have chosen not to respond to four emails sent to complain - two of which we for the attention of their CEO Robert Parker. If you are a client - I urge you to review your portfolio status and charges. If you are considering being a client - my strong advice - don't do it. My next steps are to contact the relevant regulatory authorities as I am determined to either receive compensation for my loss or at least make as many people aware of their schemes as possible and hope that I can stome someone else becoming a victim of their shady practice. 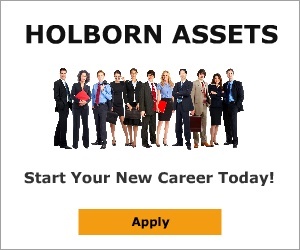 Product or Service Mentioned: Holborn Assets Customer Care. Review #1075796 is a subjective opinion of User1075796.